All deadlines are 23.59 AoE. CP 2017, ICLP 2017, and SAT 2017 will be held August 28 to September 1, 2017 at the Melbourne Convention and Exhibition Centre. You can catch the SkyBus from the airport to the city ($19 one way), or a taxi (around $60, you can pay with credit card). Uber also operates in Melbourne. Once you’re in the city, you can use the trams for free within the Free Tram Zone. If you want to use trains or leave the Free Tram Zone, you need to purchase a MyKi travel card and add some money to it ($4.10 for a 2-hour ticket, capped at $8.20 per day). 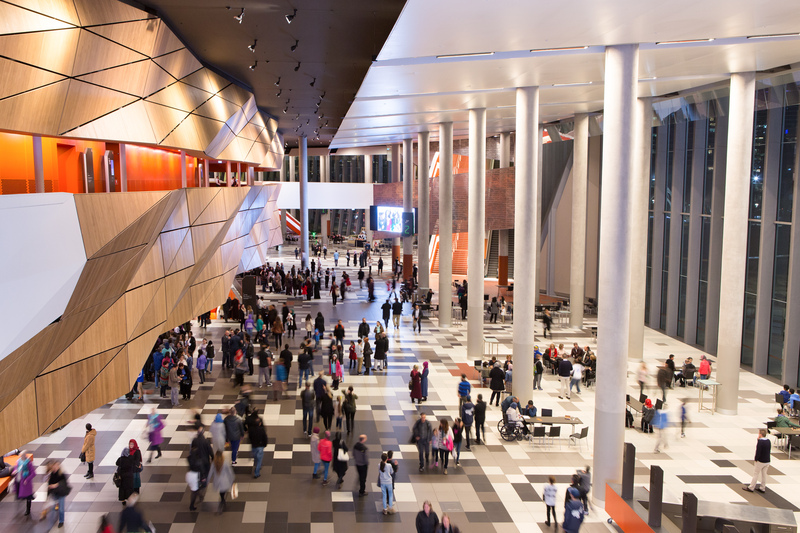 The CP, ICLP and SAT conferences will be held at the Melbourne Convention Centre (the same venue as IJCAI the week before). The convention centre is a 10 minute walk from Southern Cross Station, or a 3 minute walk from the nearest tram stop (which is not in the Free Tram Zone!). Make sure you go to the Convention Centre, not the Exhibition Centre (have a look at the map below). When you enter the Convention Centre from the side facing the Yarra River, look out for Stairs 1, which take you from the ground floor to Level 1. The registration desk will be located in the foyer, close to Room 107 on Monday, and between Room 111 and Room 112 Tuesday-Friday. Make sure you book a suitable accommodation in the proximity of the venue, so that you can comfortably reach the conference. Some booking options and promo codes are available in our accommodation page. Under Australia’s universal visa system, all visitors to Australia must have a valid visa to travel to and enter Australia (other than New Zealand passport holders who will normally be granted a Special Category visa on arrival, provided they meet health and character requirements; and permanent residents of Norfolk Island who may be granted a Permanent Resident of Norfolk Island visa on arrival). For more information on New Zealanders in Australia, see the fact sheet. We advise to request a suitable visa well in advance, as visa processing times can be long. You can find useful information on the available visas and requirements in the following documents, more information is available at the website of the Department of Immigration and Border Protection. If your institution requires you to produce an invitation letter, we’re happy to provide you with one.